Were Hedge Funds Right About Marathon Petroleum Corp (MPC)? Hedge funds and other investment firms that we track manage billions of dollars of their wealthy clients’ money, and needless to say, they are painstakingly thorough when analyzing where to invest this money, as their own wealth also depends on it. Regardless of the various methods used by elite investors like David Tepper and David Abrams, the resources they expend are second-to-none. This is especially valuable when it comes to small-cap stocks, which is where they generate their strongest outperformance, as their resources give them a huge edge when it comes to studying these stocks compared to the average investor, which is why we intently follow their activity in the small-cap space. Marathon Petroleum Corp (NYSE:MPC) has experienced an increase in hedge fund interest recently. MPC was in 72 hedge funds’ portfolios at the end of the fourth quarter of 2018. 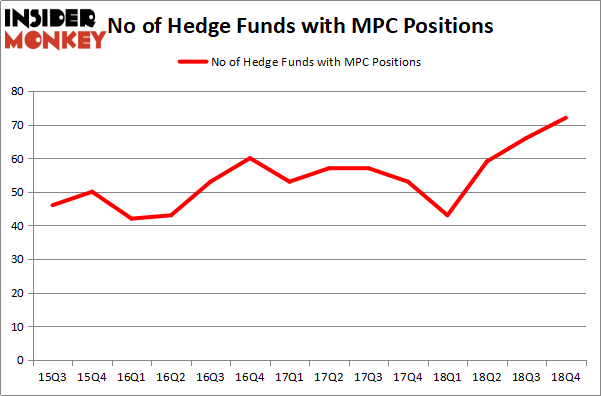 There were 66 hedge funds in our database with MPC positions at the end of the previous quarter. Our calculations also showed that MPC is among the 30 most popular stocks among hedge funds, ranking 27th. To most shareholders, hedge funds are viewed as underperforming, old financial vehicles of yesteryear. While there are more than 8000 funds with their doors open at present, Our researchers hone in on the moguls of this group, about 750 funds. These money managers shepherd bulk of the smart money’s total asset base, and by tailing their highest performing stock picks, Insider Monkey has found several investment strategies that have historically exceeded Mr. Market. Insider Monkey’s flagship hedge fund strategy outrun the S&P 500 index by nearly 5 percentage points per year since its inception in May 2014 through early November 2018. We were able to generate large returns even by identifying short candidates. Our portfolio of short stocks lost 27.5% since February 2017 (through March 12th) even though the market was up nearly 25% during the same period. We just shared a list of 6 short targets in our latest quarterly update and they are already down an average of 6% in less than a month. Let’s view the latest hedge fund action surrounding Marathon Petroleum Corp (NYSE:MPC). At Q4’s end, a total of 72 of the hedge funds tracked by Insider Monkey were bullish on this stock, a change of 9% from one quarter earlier. Below, you can check out the change in hedge fund sentiment towards MPC over the last 14 quarters. So, let’s find out which hedge funds were among the top holders of the stock and which hedge funds were making big moves. The largest stake in Marathon Petroleum Corp (NYSE:MPC) was held by Viking Global, which reported holding $781.1 million worth of stock at the end of September. It was followed by AQR Capital Management with a $440.5 million position. Other investors bullish on the company included D E Shaw, Iridian Asset Management, and Steadfast Capital Management. Now, some big names were leading the bulls’ herd. Adage Capital Management, managed by Phill Gross and Robert Atchinson, assembled the biggest position in Marathon Petroleum Corp (NYSE:MPC). Adage Capital Management had $60.6 million invested in the company at the end of the quarter. 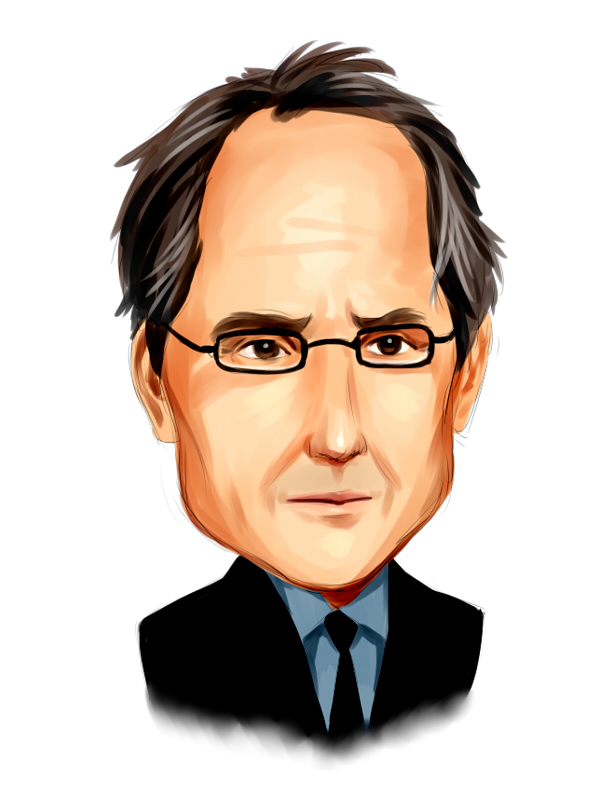 Mike Masters’s Masters Capital Management also initiated a $29.5 million position during the quarter. The following funds were also among the new MPC investors: Brandon Haley’s Holocene Advisors, Wayne Cooperman’s Cobalt Capital Management, and Mark Kingdon’s Kingdon Capital. Let’s check out hedge fund activity in other stocks similar to Marathon Petroleum Corp (NYSE:MPC). We will take a look at Norfolk Southern Corp. (NYSE:NSC), ABB Ltd (NYSE:ABB), Metlife Inc (NYSE:MET), and Regeneron Pharmaceuticals Inc (NASDAQ:REGN). All of these stocks’ market caps are closest to MPC’s market cap. As you can see these stocks had an average of 29.75 hedge funds with bullish positions and the average amount invested in these stocks was $990 million. That figure was $3506 million in MPC’s case. Norfolk Southern Corp. (NYSE:NSC) is the most popular stock in this table. On the other hand ABB Ltd (NYSE:ABB) is the least popular one with only 13 bullish hedge fund positions. Compared to these stocks Marathon Petroleum Corp (NYSE:MPC) is more popular among hedge funds. Our calculations showed that top 15 most popular stocks among hedge funds returned 19.7% through March 15th and outperformed the S&P 500 ETF (SPY) by 6.6 percentage points. Unfortunately MPC wasn’t in this group. Hedge funds that bet on MPC were disappointed as the stock returned 3.3% and underperformed the market. If you are interested in investing in large cap stocks, you should check out the top 15 hedge fund stocks as 13 of these outperformed the market.